Some of you may have noticed that I haven't posted very much in the past 6 weeks. I've said it once and I'll say again: if it's a priority to you, you will make time for it. Well frankly, running just hasn't been my priority lately. I've gotten some questions, such as "I haven't seen you post on Instagram & FB in a while; what happened?" Well back on June 1st, I established a goal to change my training and diet in order to reach my ideal racing weight, which would help with qualifying for Boston. Well, even though I wasn't able to publish as much as I thought I would (every week), I was getting results with my training plan. That is, until a couple months ago when my training plan hit a couple of speed bumps. In late August, I developed a hamstring injury that seemed to linger for several weeks into September. I had to take longer rest periods than I wanted to in order to see if it helped with recovery. Then in September, I worked on a project at work that required some long hours, and mentally, I just became too drained to want to run. Most importantly though, from September to the present...I MOVED. I was naive to think that I could sustain my training and diet while giving my house a makeover (paint, flooring, repairs, etc), but I don't regret making that my priority in the past couple months: my house needed to be ready for Wendy and I to move in, so it had to be done. As most of you know, moving is fun! I'm being sarcastic of course. Packing, moving and unpacking disrupts your routine; it can take quite a while in order to get back to doing something as simple as prepping/cooking meals. Plus, I can admit that I got into the habit of not running. The positive out of this whole "sabbatical" is the fact that in a month I only gained about 3 pounds even though I didn't exercise at all. That is a first! Haha. 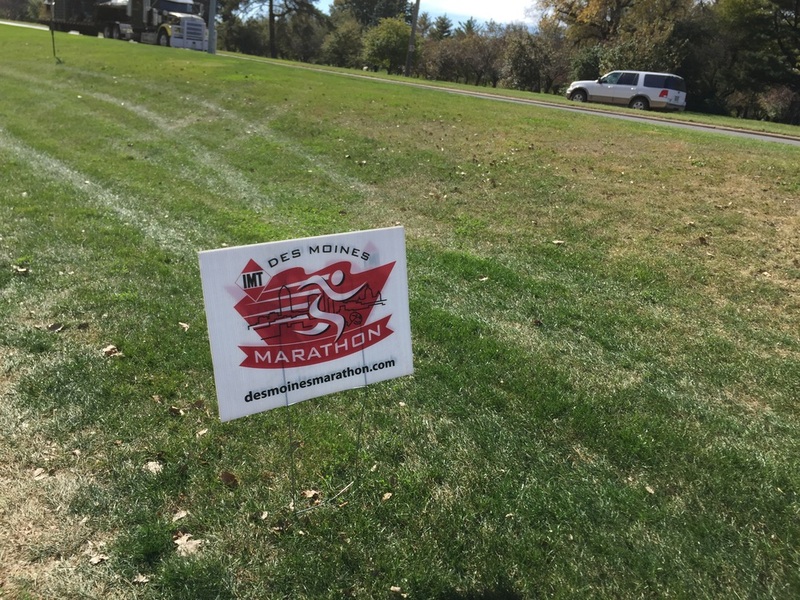 So now we are in October, and I'm currently in Iowa because the Des Moines Marathon is this weekend. I signed up earlier this year for this marathon, and I had been stressing myself over this full until Oct. 1st came around. I've never done this before, but I thought it was for the best. I changed my entry from the full marathon to the half marathon. I know I'm not ready for a full marathon, and I know how disappointed I would be if I attempted and didn't give it my best...or even my semi-best. Which brings me to the question: how do you train for a half marathon in 3 days (especially since I had not run close to a month and even then only 5 times in September)? Well the answer is YOU DON'T! Haha. I wouldn't recommend this to anyone, but we runners are a stubborn bunch, and its either run the half marathon or lose my fee by not running at all; Wendy's family lives near Des Moines, so I know I'll have plenty of opportunities to run the full here when I'm better prepared for it. My 3 days of training leading up to the half marathon have consisted of a 3 miler, 6 miler and a rest day today. Again, I don't recommend anyone doing this unless maybe you had a good base of consistent running beforehand. My legs have been sore, but there is a little familiarity of the endurance that is still there. Yesterday, as I was running the 6 miler, I felt sore; however, at no point did I think that I couldn't do a half marathon in a couple days. A marathon with almost no training,? NO WAY! A half marathon with almost no training? CHALLENGE ACCEPTED! I'm confident that even after a break, I can run this mileage on a whim. Sure, I don't expect to PR, but this race can be the catalyst that brings me back to training mode because there are still miles to run this year and medals to be earned.